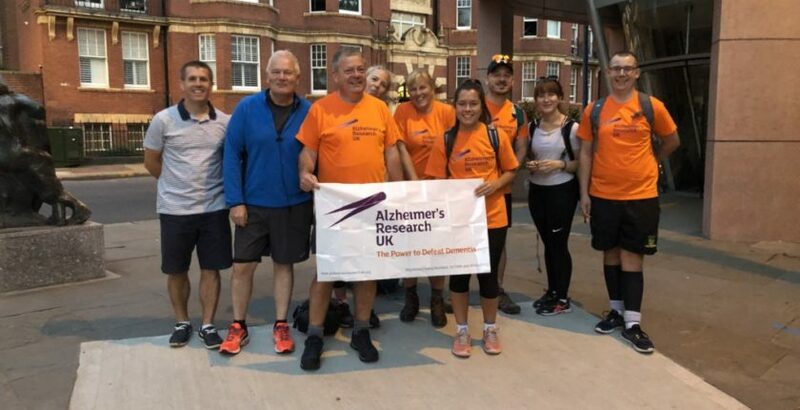 Nine Hallmark care workers have raised £13,700 for Alzheimer’s Research UK in a 62-mile charity walk. The developments team, led by Construction Director James Rowntree, braved 31 degree temperatures during the two-day walk from Putney Bridge to Henley on Thames. James said: “It was a difficult challenge but despite the blisters and adverse weather conditions we all made it past the finishing line! The challenge was part of Hallmark’s goal to raise awareness and funds to fuel life-changing dementia research as part of its commitment to raise £50,000 for the charity throughout 2018.